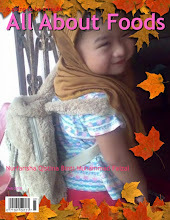 Hehe..just remembering the old song..i change the lyric a little bit so it suit our photos today ..Yesterday we went to my childhood village in Padang Sanai Kuala Nerang. 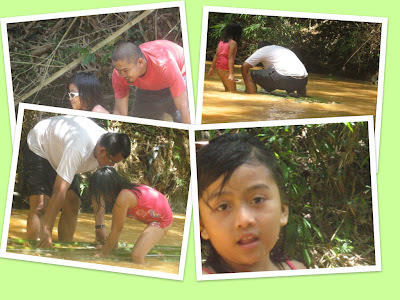 As usual my daughter excited to see her pak ndak and mak ndak whose are very gentle and kind. We went there right after kenduri at Pokok Sena, Kedah. When we arrived mak ndak already cooked for us a dishes for dinner..apo lagi santaplah...my daughter already ask her abah tomorrow jadi ke tidak go for picnic. Her abah said ohh i didn't promise you anything(only to tease her daughter)..ahah...ini boleh mengundang marah said kak long......heheh..but everything turn like we have planned. 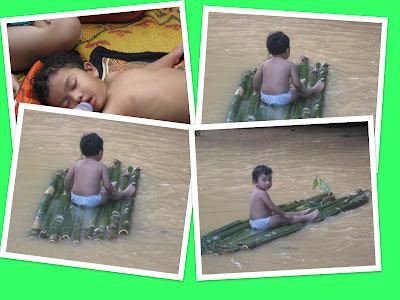 this is my brother who are very creative comes uo with this rafting idea.. my precious enjoy it very much.